Congratulations to our lucky winner Conor Callaghan from Co. Donegal who recently won a competition we held while at Tullamore Show 2011. He guessed the correct weight of 2 rams which was 197.5kgs. For this he has won €180 worth of Cobalt 12 Guard – High. 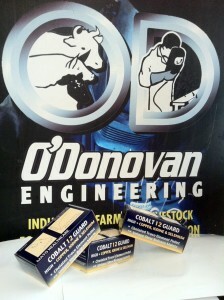 This Irish made product is now available for purchase here at O’Donovan Engineering. 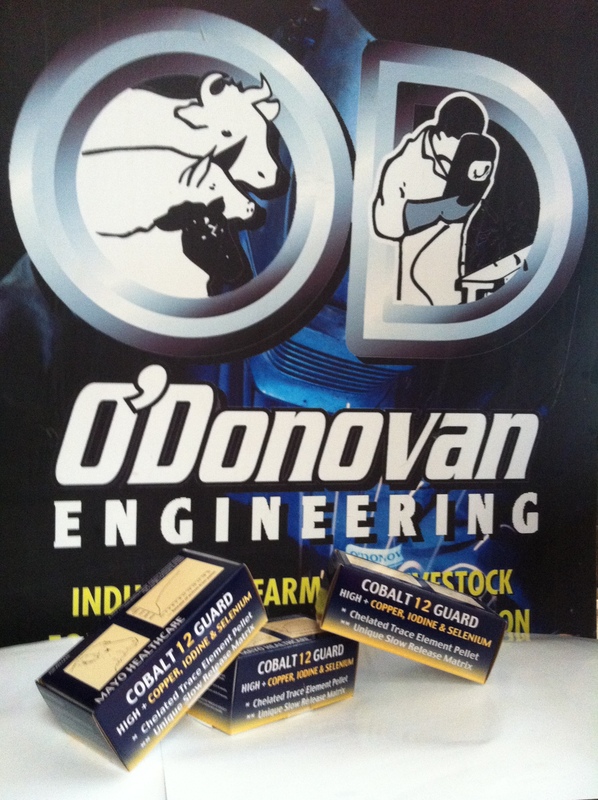 Cobalt 12 Guard – High contains copper, iodine and selenium. It’s slow release formula is easy to administer and can be used at 6-8 week intervals. It is just the product for thrive in your young lambs & ewes.